Spinelli wants Maxie to see the baby, but she closes the door reminding him what could happen if they get caught. Spin comes in and tells her they&apos;re leaving tonight, which surprises Maxie. She thought she’d have more time before having to say goodbye. Maxie holds the baby and comments on how much she looks like Georgie. Spin agrees and says he’s decided to rename the baby Georgie, since the name is special to both of them. Ellie explains to Lulu and Dante the records show their embryos should be in the freezer, but they aren’t there. Dante wonders who else had access. Ellie says Britt did, as Maxie’s doctor. Dante leaves Britt a phone message. Ellie tells them to check with Brad as well. Britt admits to Nikolas that Brad is not the baby’s father. She was afraid to tell the truth for fear of losing what she and Nik are starting. Nik asks for the truth. Britt tells him she took a sample from the sperm bank and Brad agreed to protect her secret. Britt says she broke the law which is why she lied. She asks if Nik forgives her. Nikolas says he isn&apos;t going anywhere. They’ve connected after everything they’ve been through. However, she has to stop lying or she’ll lose him. Nik says he’s where he wants to be and she’s who he wants to be with. They make love. Anna wants Dr. Obrecht to tell her every law she’s broken to avoid a trial and spare herself humiliation. Liesl wants her one phone call to be to Faison. Anna says that isn’t possible. Liesl questions why she can&apos;t talk to her beloved, but Anna is firm. Later, Anna leaves a voice message for Robert. 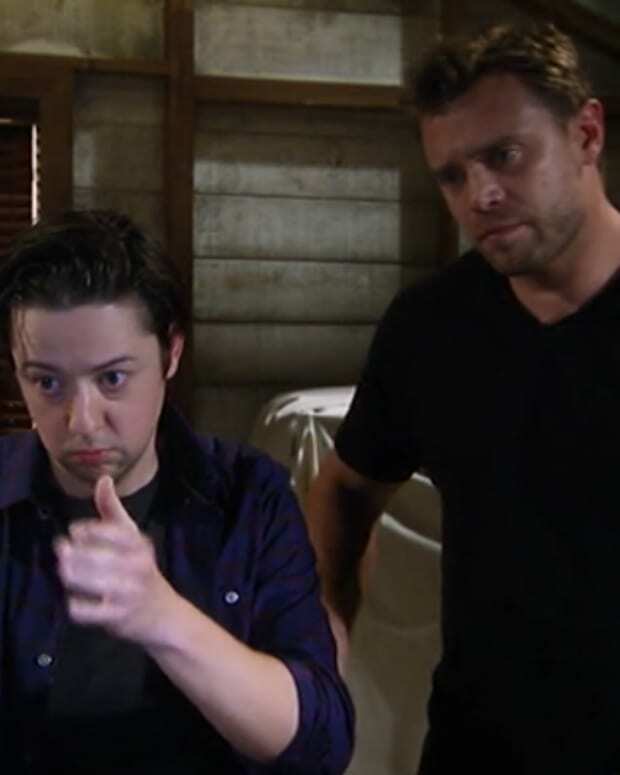 Duke tells Sonny he can’t work with him to take down Julian. Going after the Jeromes would conflict with his relationship with Anna. Sonny is disappointed, but understands. Julian arrives demanding to know what Sonny did with Carlos. Duke hides and listens. Julian warns Sonny he’ll take him out, if he’s done anything to Carlos. Sonny claims the police will come after him. Julian isn’t concerned about Anna or Dante. 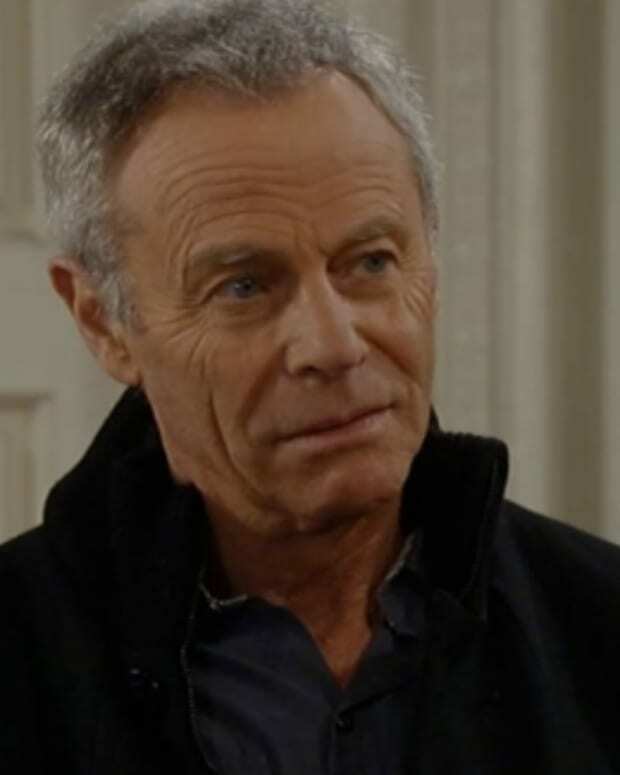 After Julian leaves, Duke tells Sonny he heard everything, including Julian&apos;s threat against Anna. He decides to team up with Sonny . Lulu and Dante run into Brad. They want to talk about their missing embryos. Dr. Obrecht calls Britt and asks for her help. She reminds her daughter she knows the truth about the baby. Maxie tells Spin their friendship changed her life. Spin says she’s the first girl he truly loved. The two share a kiss. Spin says she’ll always have a piece of his heart. Maxie gives him the two ornaments, but Spin only takes one. He tells her to keep one for when she shares Christmas with Georgie. Spin and Ellie leave with the baby.